Anybody who is in the market for a new home, wishes to sell their current one or merely wants to renovate their property – they have plenty of potential options. The bathroom is easily one of the most valuable rooms of the home with respect to return on investment; it should not be surprising that millions choose to update or renovate this room of the home. Whether the decision is motivated by increasing your home’s value or updating an outdated look; here are the best tips to consider when choosing a new bathroom in the new year. Due to humidity and moisture concerns, any new bathroom project must carefully consider both flooring and wall elements. As such, it is no surprise that many bathrooms now incorporate tile into their construction. Not only can tile be a great choice for the floors in any new bathroom, but lining the walls with tile makes cleaning bathroom floors easier and reduces the likelihood of mildew, mould and other pesky elements. Bathroom renovations can quickly become expensive; nobody wants to spend more for a new bathroom than what is necessary. An increasing number of homeowners have discovered that any new bathroom can be absolutely stunning with just one major investment. Whether it is splurging on an immaculate Kohler shower enclosure, cabinetry or recessed sky-lighting; focusing on one huge investment that makes the room shine can transform any bathroom project in 2018. Any bathroom project can be a challenge, but the work that follows any renovation should also be considered. Design plans that lead to more surfaces, fixtures and elements naturally mean longer cleaning times for homeowners – and more potential in the long-term for needed repairs. 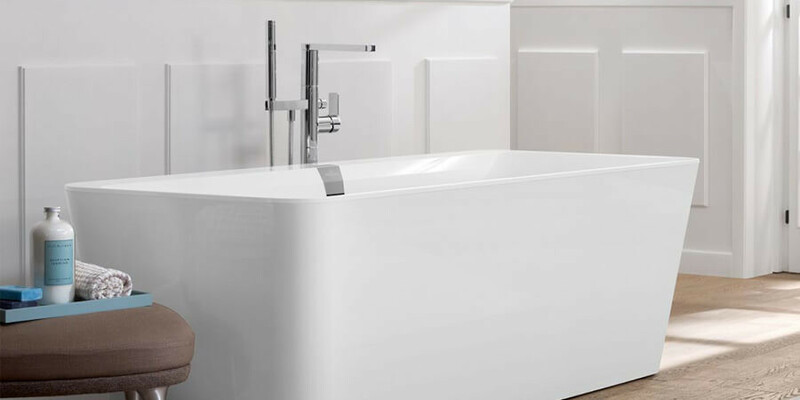 Bathroom industry leaders such as Bathrooms Direct Yorkshire recommend minimising the number of surfaces and fixtures in a bathroom if a low-maintenance situation is preferable. One of the most important elements in any bathroom is its lighting. In many cases, bathrooms may be isolated and lack any outdoor lighting potential. Even for those bathrooms with windows, optimising lighting for this vital room of the home can make all the difference in its appearance. Elements such as shadows and exposed bulbs will be far more noticeable in this room and distract from its beautiful design. As with any home improvement project, renovating a bathroom takes time, money and preparation. Any homeowner would be well-advised to consider these tips when choosing a new bathroom in 2018!